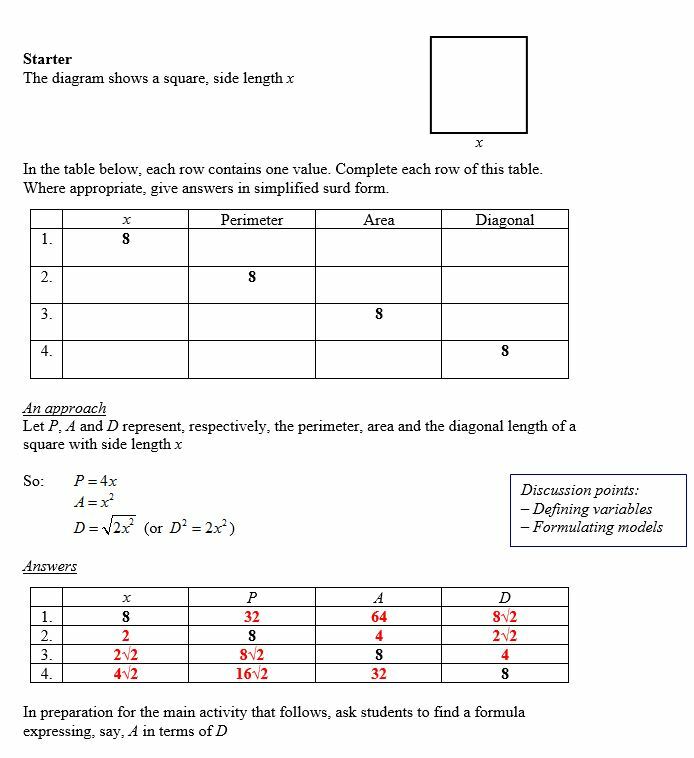 Here is an activity which aims to help develop students’ modelling and problem solving skills. 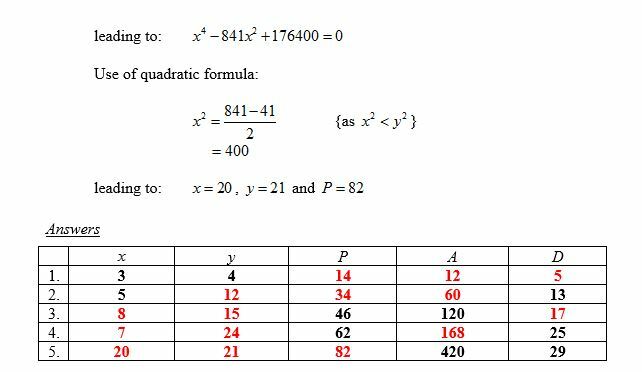 It requires knowledge of Pythagoras’ theorem, solving simultaneous equations and all things quadratical. 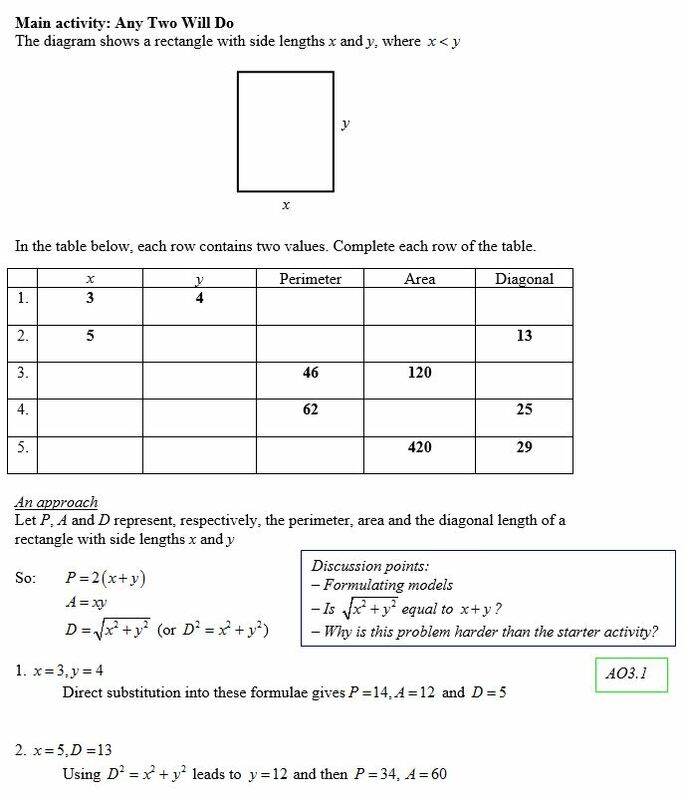 Solutions to activities are included in order to highlight possible class discussion points. 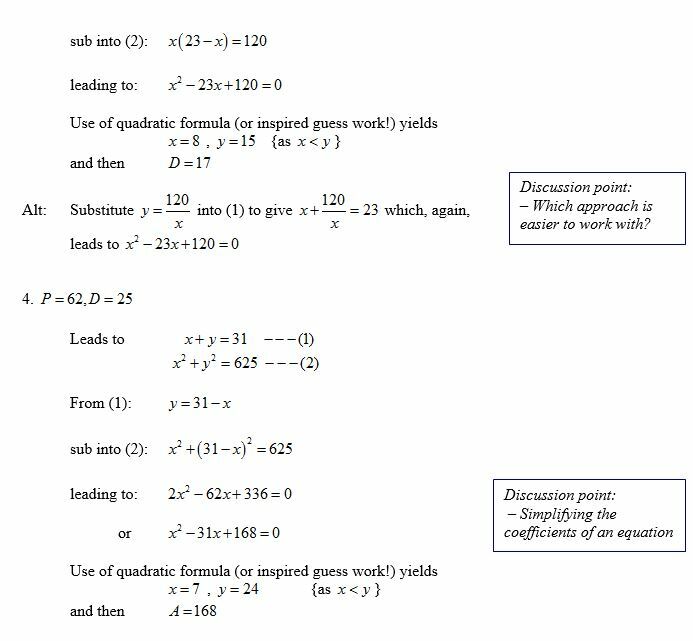 The activity is also available to download as a PDF. Coverage of Assessment Objective have been flagged up. 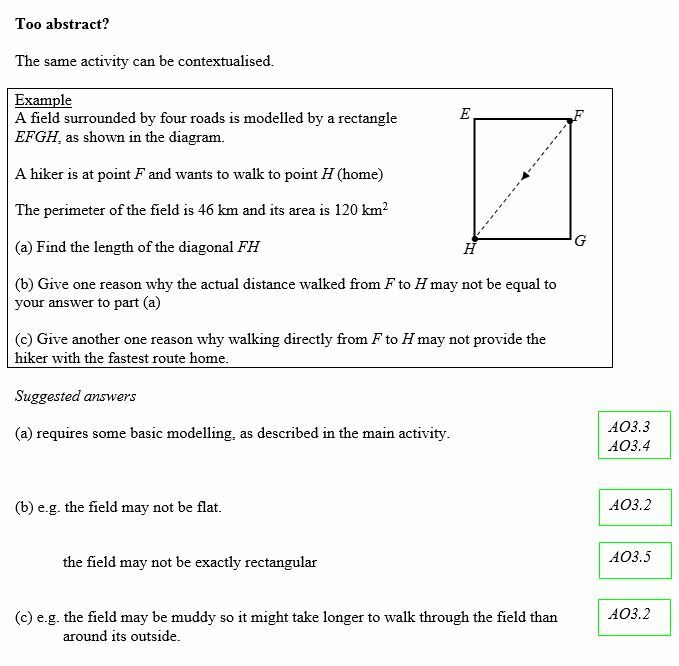 AO3.5 – evaluate the outcomes of modelling in context, recognise the limitations of models and, where appropriate, explain how to refine them. 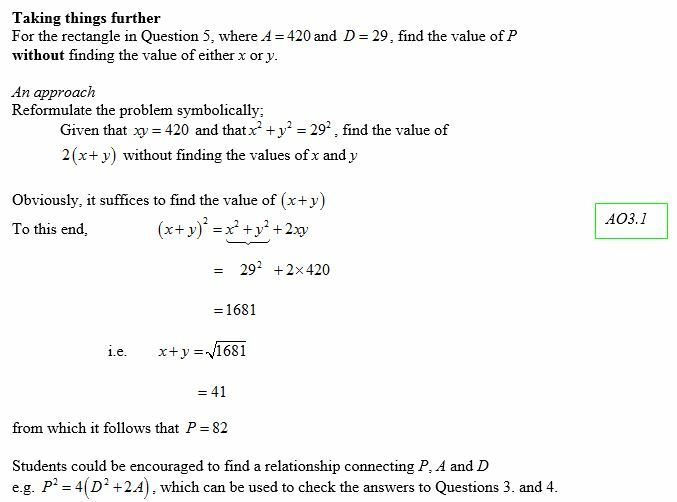 Please refer to the Bridging GCSE and A-level Maths Student Book, 2nd edition for questions designed to improve problem solving and modelling skills as well as ease the transition between these two qualifications. 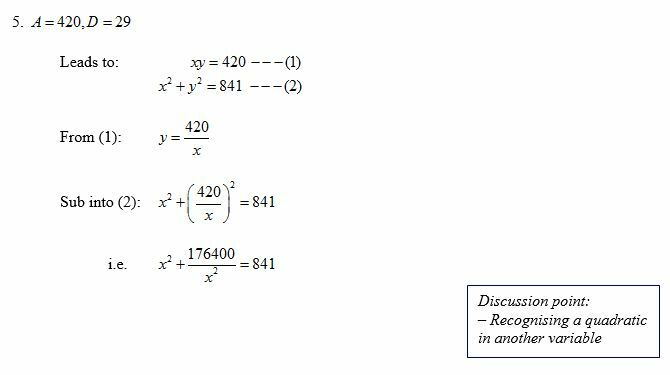 Mark has been teaching Maths for over 20 years, mostly at a large F.E College. 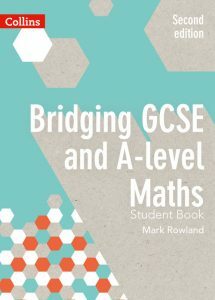 His publications include the Bridging GCSE and A-level Maths Student Book, teacher’s resources for Level 3 Core Maths, Further Maths books and contributions to a series of books for the new A-level Maths specification.